Union Pacific's locomotive servicing facility in North Little Rock, photographed on Oct. 10, 2012. Employees there are among 60 positions being eliminated as the railroad works to reduce the size of its workforce and boost profits. Union Pacific is cutting 60 jobs in central Arkansas as part of a second round of layoffs nationwide. A spokeswoman said Monday the local positions come from the railroad’s locomotive servicing and car repair shops in North Little Rock. The company is eliminating 675 positions nationwide during the fourth quarter of the year. A further reduction in the size of its workforce is planned, company officials say, as Union Pacific works to improve profitability. The railroad serves 23 states in the western two-thirds of the U.S. and employs about 2,500 people in Arkansas. Spokeswoman Kristen South said the layoffs are being spread throughout the system. "The workforce reduction is an effort to reduce our general and administrative support structure as we continue implementing our new operating plan, Unified Plan 2020, which ensures Union Pacific remains a strong, competitive and vibrant company," South said. 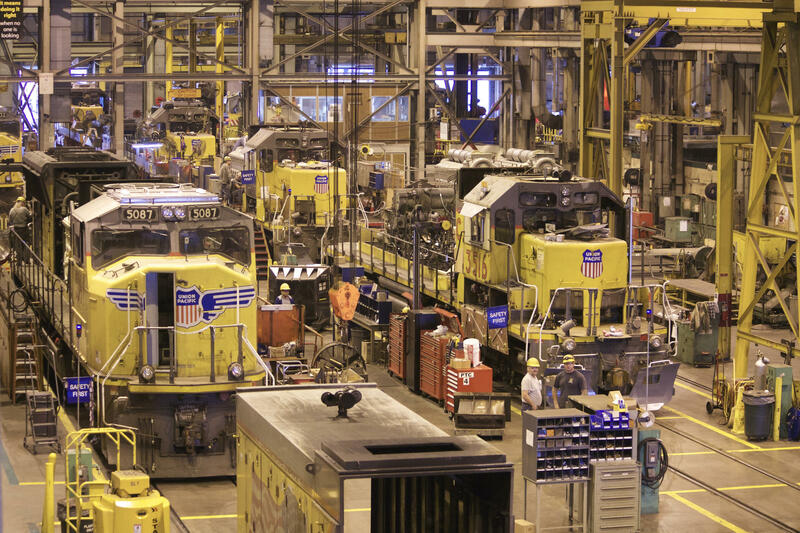 Union Pacific Corp., which operates more than 1,300 miles of railroad track in Arkansas, announced plans to cut up to 750 jobs that will impact management and administrative positions across the company’s operations. Union Pacific, which is the largest railroad operating in Arkansas, is working with local law enforcement agencies in an effort to crack down on drivers going around lowered crossing gates in front of approaching trains. They also watch for people trespassing by walking on railroad tracks or doing anything else considered unsafe. About a dozen Little Rock Police officers took part in an operation this past week in the southwest part of the city. It was the latest effort in an ongoing campaign. Railroads have long been a key industry for Arkansas, with North Little Rock today being the home to one of Union Pacific's largest rail yards. It also houses a large locomotive servicing facility. The sprawling grounds are busy 24 hours a day with arriving and departing freight trains. It’s a complicated process, sorting rail cars that arrive from all over the country, changing crews and servicing the equipment. Directing the action from the top of a tower in the center of the yard is General Yard Master Robby Robelot. He says the biggest challenge is coordination and timing.